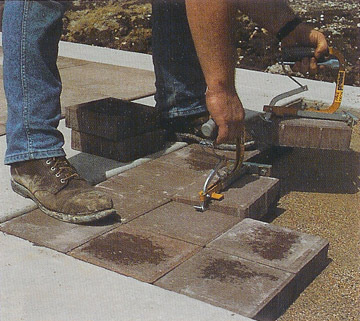 Stonescape Supply carries the following products to assist you with your landscaping and hardscaping needs. For more information, or to purchase materials, please visit our Utica Store. 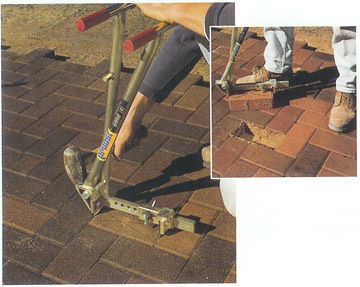 Designed to be used standing up; Replaceable spring steel tooth; Hand and foot rests to drive into joint; Rubber grip handles; Gold zinc plated finish. 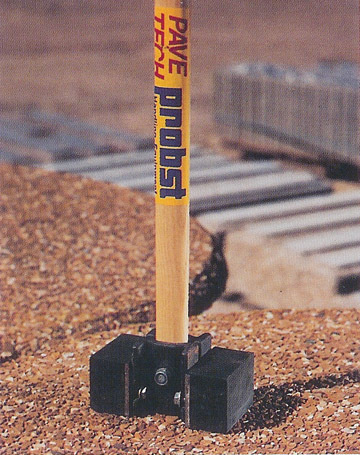 Hammering surfaces to drive teeth into joints; QuickAdjust accommodates almost every paver shape and size; Replaceable serrated spring steel teeth; Gold zinc plated finish; Rubber grip handles; Built to last. 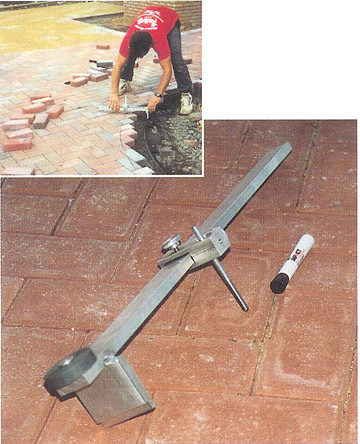 Spring loaded cutting tables allows for undercut or double angle cuts; Both upper and lower cutting edges are four sided and are easily changed in the field; Extension handles and concentric cam gives awesome cutting power and leverage; Easy and quick height adjustment; Heavy duty durable construction; Cutting lengths: 13” – 25.5”; Cutting heights: 3/8 – 12”; Weights: 77lbs – 220lbs. 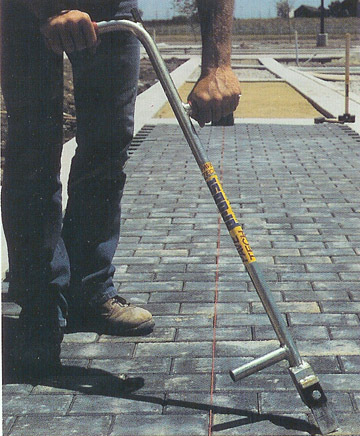 Replaceable serrated spring steel teeth; Rubber grip handle; QuickAdjust allows for fast easy size adjustment for most pavers; Size range 6” – 10”. Solid, permanent all aluminum and stainless steel construction; Can hold carbine scriber or permanent market or almost anything to mark; Replaceable carbide market; Increase marking speed easily by 400-600%; Increase marking accuracy and consistency. 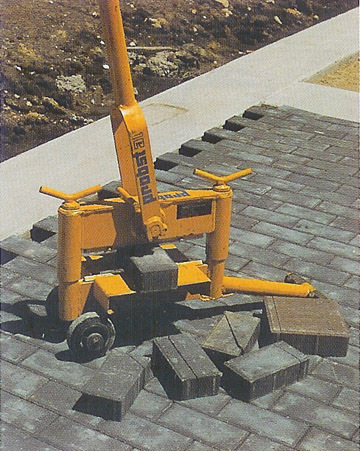 For heavier equipment & machinery, please visit our partner company, Macomb Skid Loader.